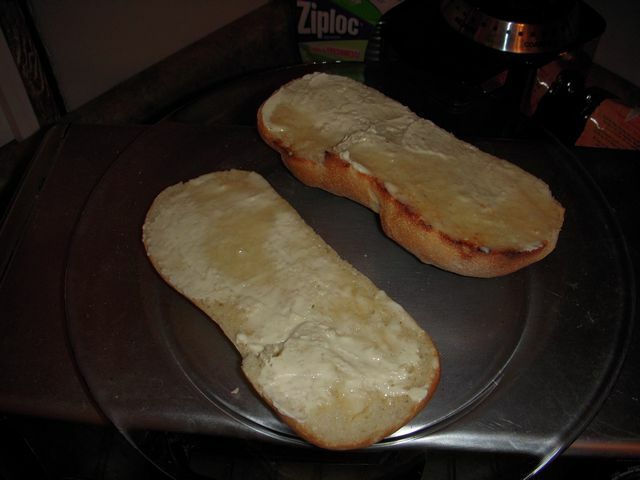 Fast-forward to today, and this poorman’s garlic bread is a nice little trick to have up your sleeve in case of cooking emergencies. 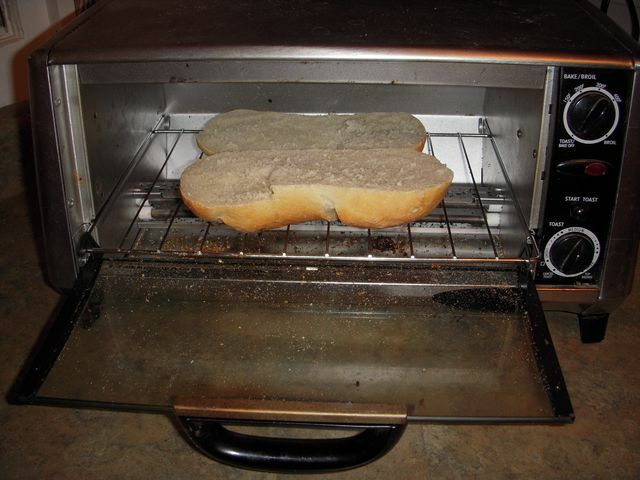 Since I have a full kitchen back in the states, I can update the original technique by using a toaster oven instead of a frying pan. 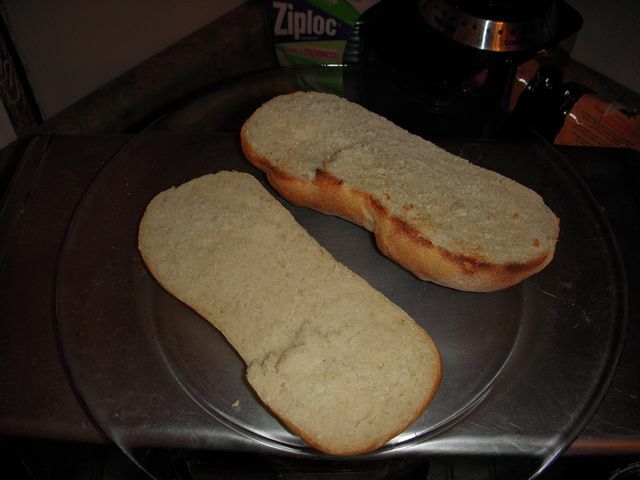 Though I do like to use white bread for this recipe. 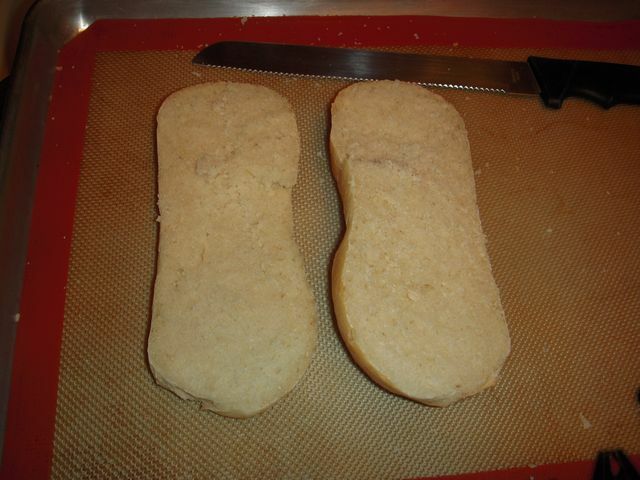 I just happen to have made another batch of petite baguettes, so I’ll use petite baguette roll instead of the usual white bread. 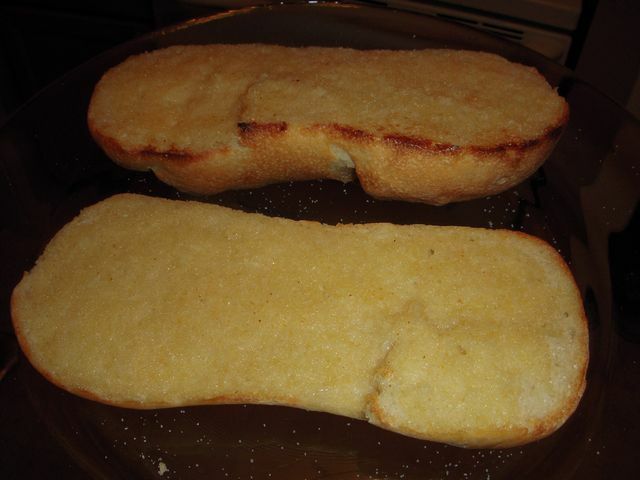 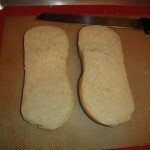 To make this poorman’s garlic bread in the toaster oven, cut a petite baguette in half-length wise. 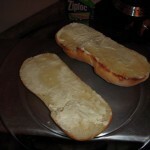 Place into the toaster oven, and toast the two pieces on the medium toast setting. 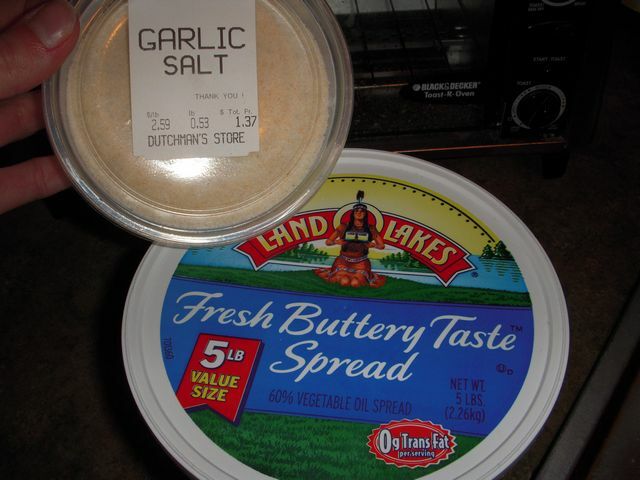 After this first toasting, coat the toasted baguette pieces in butter or a buttery spread (I personally like either I Can’t Believe It’s Not Butter or Land-o-Lakes Buttery Spread) and give it a good sprinkling of garlic salt (from the Dutchman’s Store). 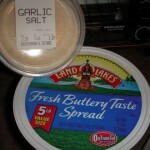 One tip on the garlic salt, use more then you would normally use for a sprinkling, just so you can really taste that garlic salt goodness. 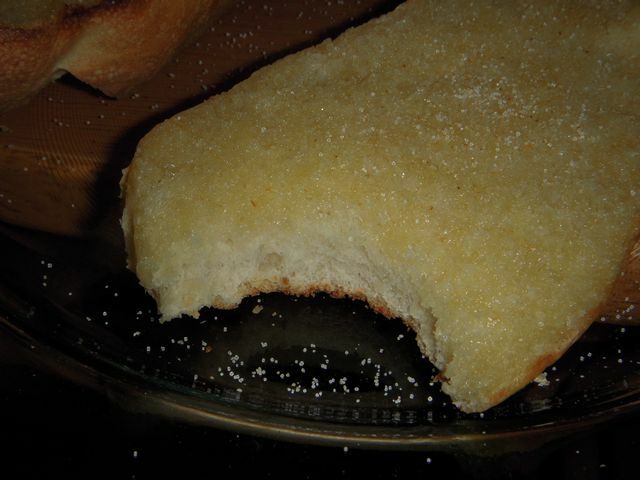 Put the buttered and salted baguettes back into the toaster for a second toasting on the medium toast setting. 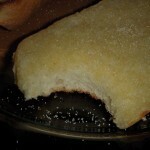 The second toasting is the key to browning the buttered surface, and releasing that garlic bread smell. 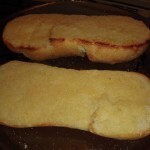 Want to change the recipe, have at it! 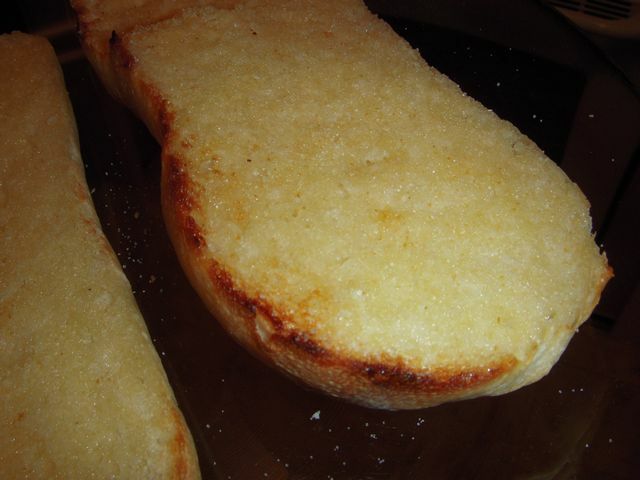 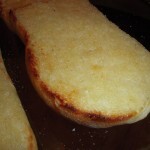 Top with parmesan or mozzarella cheese for the second toasting, for a cheesy garlic bread. 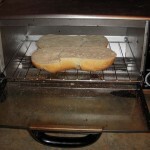 Ah, I can smell it right now. 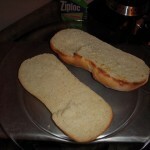 So what are you waiting for, make yourself a piece…..or two.